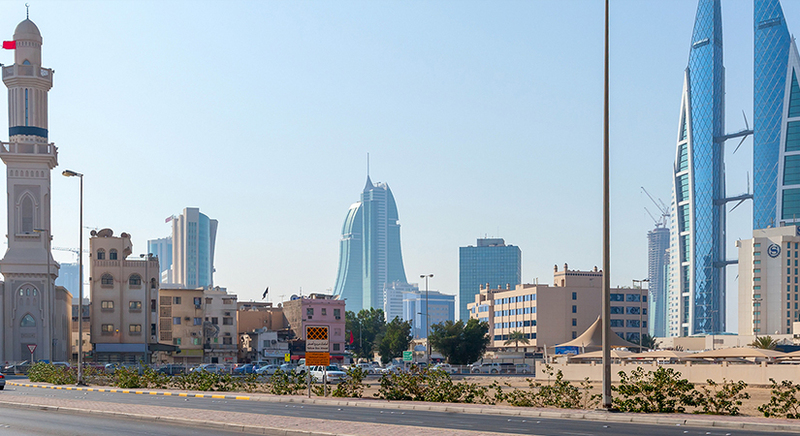 It is no secret that the Kingdom of Bahrain has been focusing increasingly on revitalizing its housing industry lately. The most remarkable form of these efforts was Bahrain’s social housing finance scheme (Mazaya program); since its initiation by the Bahraini ministry of Housing in 2013, Mazaya has successfully launched multiple master developments, like Deirat Al Oyoun city in Diyar Al Muharraq islands. 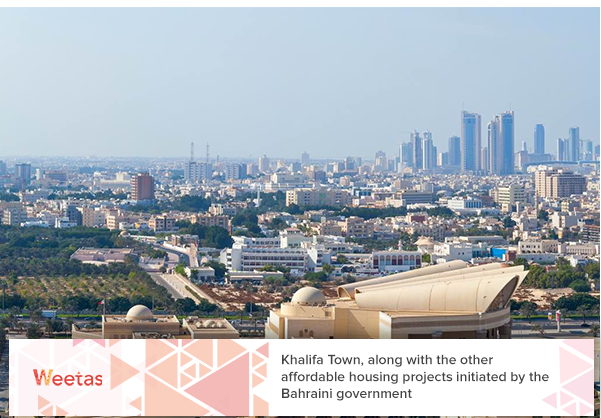 However, the Bahraini ministry of housing has also launched multiple affordable housing town projects, including Khalifa Town. Khalifa Town is a combination of smaller housing projects in the Southern Governorate: Askar, Jau and Al-Dur, and their suburbs. Khalifa is one of five projects the Bahraini government currently builds that aim at providing affordable accommodation options. The remaining 4 towns are Al Ramly and Salman Town projects in the Northern Governorate, East Sitra project in Manama, and East Hidd project in Muharraq. 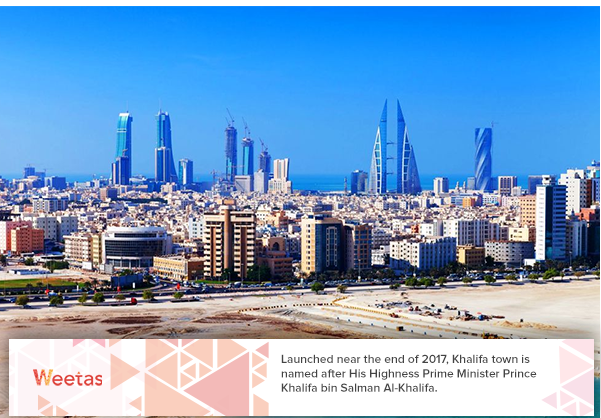 Launched near the end of 2017, Khalifa town is named after His Highness Prime Minister Prince Khalifa bin Salman Al-Khalifa. The city lies within a vital location in the Southern Governorate that, on one side, overlooks King Hamad Highway which connects the three villages together and the gulf waters on the other. With a planned capacity of 6,000 residential units, Khalifa Town project is the second largest under-construction housing project in Bahrain after Salman Town (15,000 homes). The development of the town will take place over four phases; the first phase includes the development and handover of 1600 homes; the second and the third phases will each comprise 1700 homes; while the fourth and the last phase of the project will comprise 1000 homes. The entire town project is expected to be finished by the year 2026. Upon its completion, Khalifa Town will accommodate up to 54,000 people of the kingdom’s residents. The town has been designed to provide not only affordable residential options for the Bahraini citizens, but also a serene and comfortable lifestyle. This is evident in the town’s features like its wide streets, the yards between the units, and the green spaces. Khalifa Town project will also house multiple services that are necessary to meet the daily needs of the residents, as well as a number of facilities and amenities. The project will house two wastewater treatment plants which will serve Khalifa Town and the surrounding areas. The first planet will have the capacity to produce 1,000 cubic meters of water per day. On the other hand, the second plant’s capacity will reach 2,000 cubic meters of water per day. 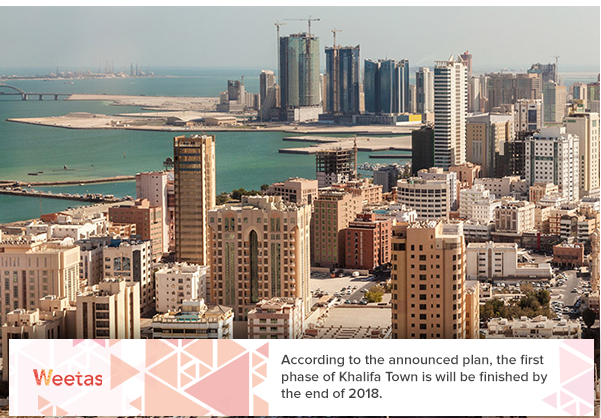 According to the announced plan, the first phase of Khalifa Town is will be finished by the end of 2018. As a matter of fact, most of the phase’s units have been delivered already; in June 2018, the keys of 400 of Khalifa Town’s homes have been handed over to their respective beneficiaries. As of August 2018, the infrastructure work of the city’s first phase is 80% complete, and 862 more homes as well as 192 apartments will be completed by the end of 2018. The designs of the second phase of Khalifa Town will be complete by the first quarter of 2019, while the work on it will start in September 2019. Khalifa Town, along with the other affordable housing projects initiated by the Bahraini government, comes as a part of Bahrain’s long term strategy, also known as Bahrain’s 2030 vision. 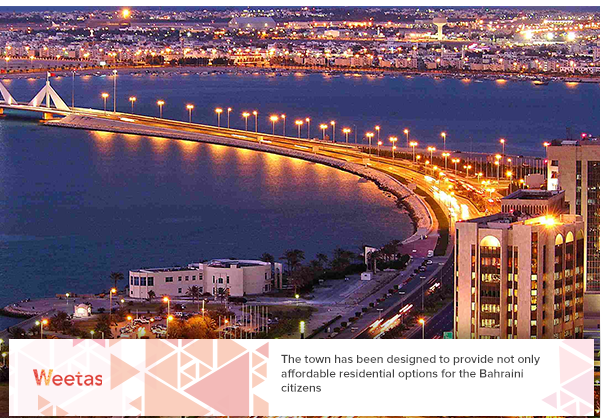 It aims at boost Bahrain’s economic growth through focusing on developing the non-petroleum industries. The kingdom’s government has been paying more attention to developing the real estate industry; we can see this whether in governmental initiatives like housing projects that aim at accommodating unprivileged Bahraini citizens. Not to forget the mega futuristic projects like Diyar Al Muharraq and Durrat Al Bahrain manmade islands; these projects make a significant contribution to the kingdom’s economic wellbeing and potential as a trade hub and touristic attraction.